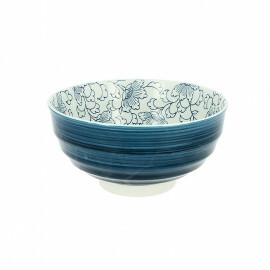 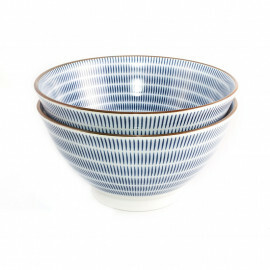 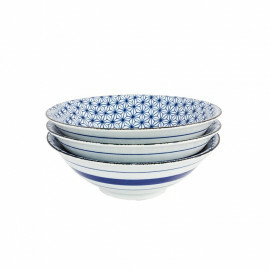 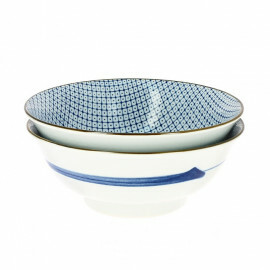 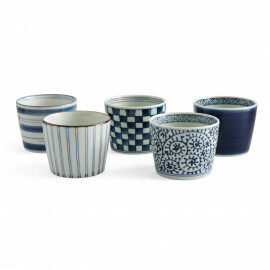 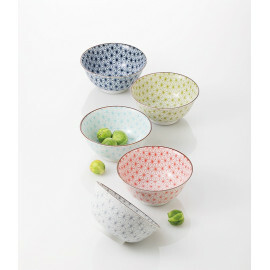 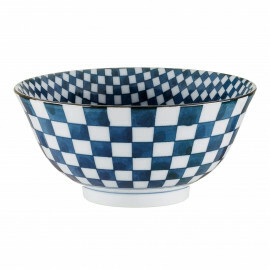 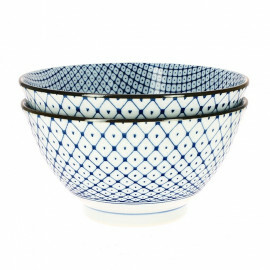 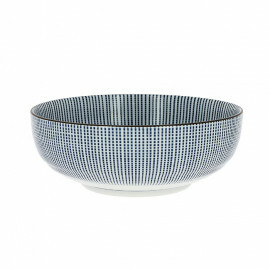 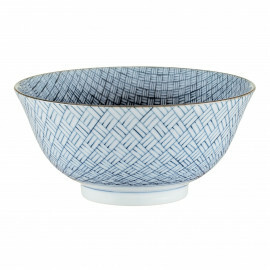 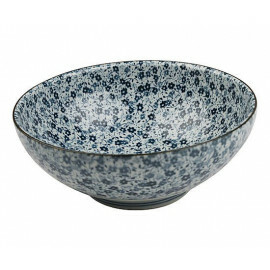 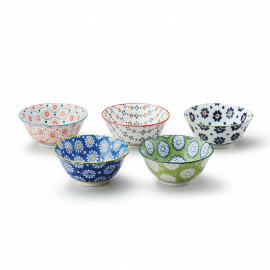 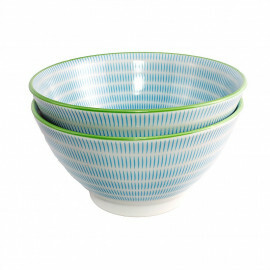 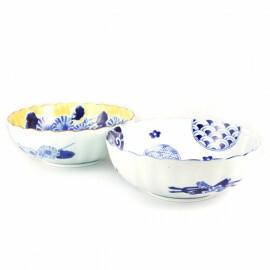 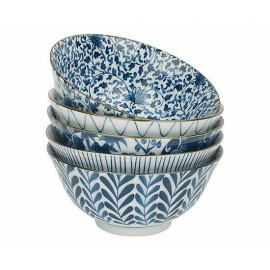 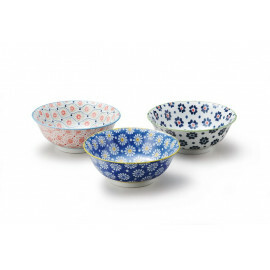 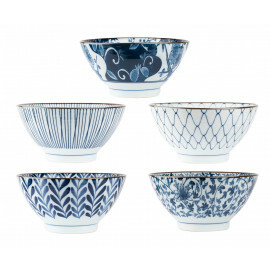 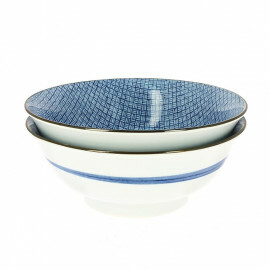 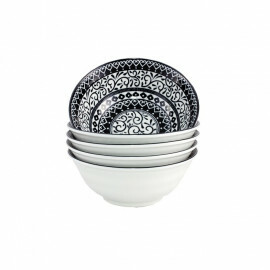 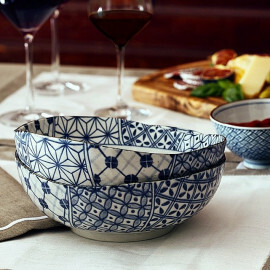 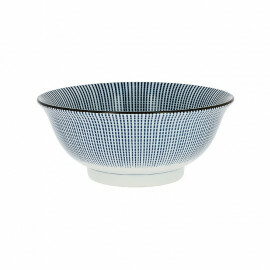 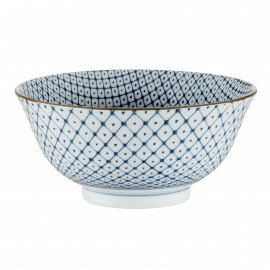 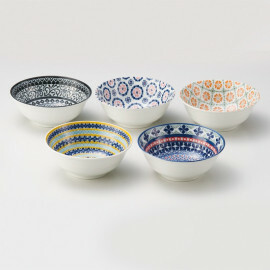 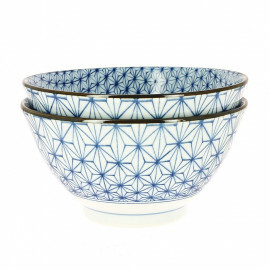 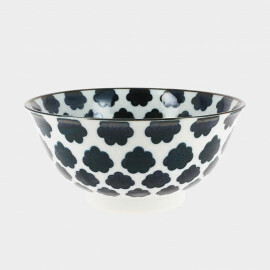 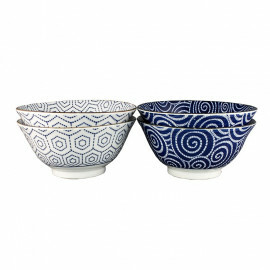 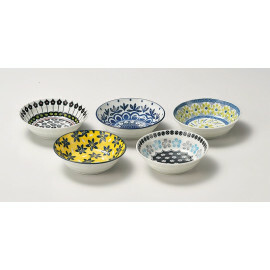 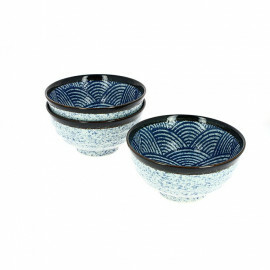 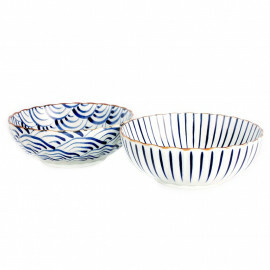 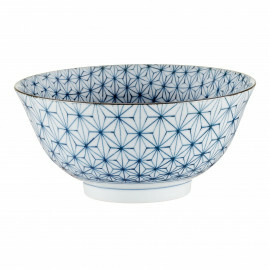 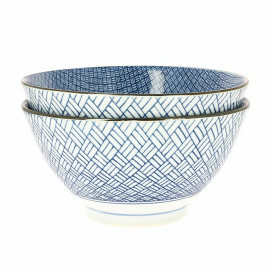 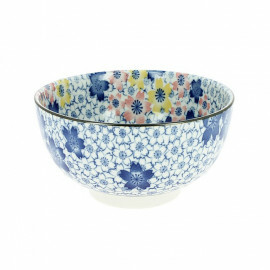 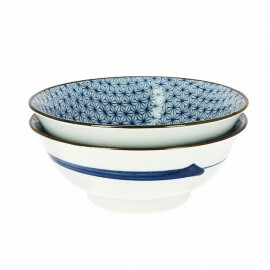 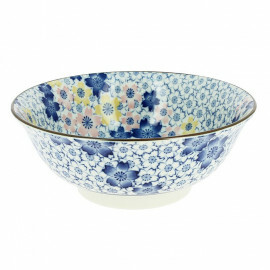 Opt for Japanese salad bowls and bowls available at the MADE IN JAPAN store. 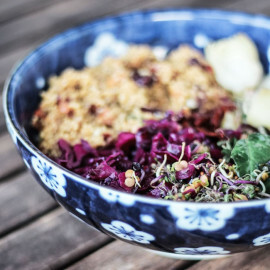 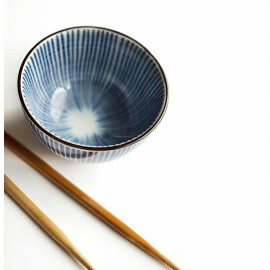 The richness of Japanese gastronomy is no longer debated, the craze for this cuisine is linked to the many raw foods it offers. 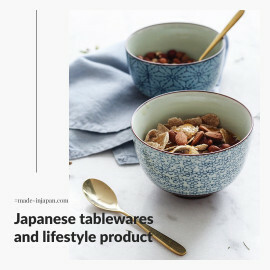 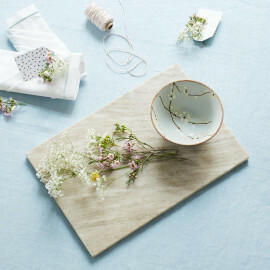 If the Japanese bowls are used for personal and individual use, the Japanese bowl is placed in the center of the table so that everyone can have access. 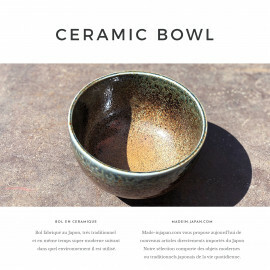 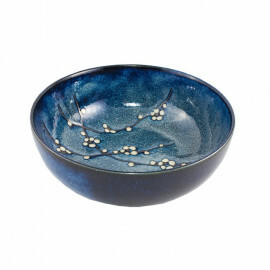 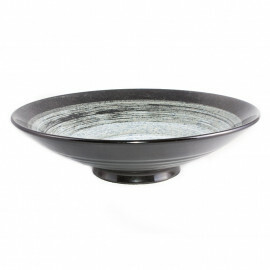 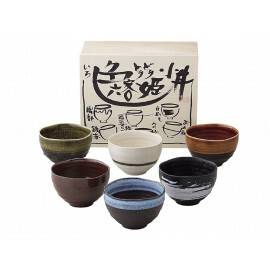 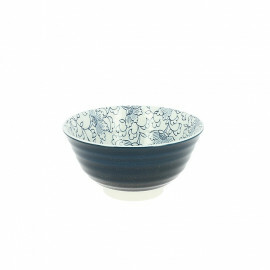 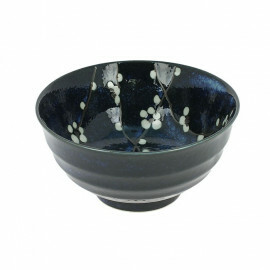 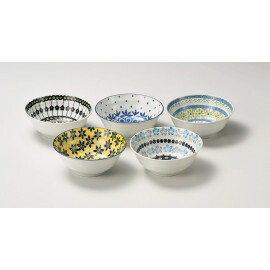 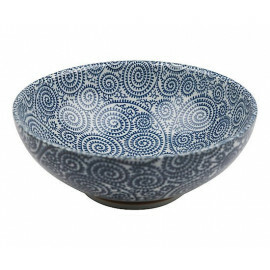 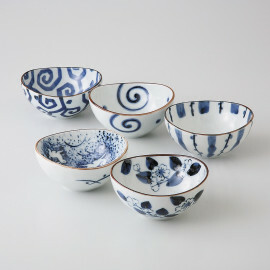 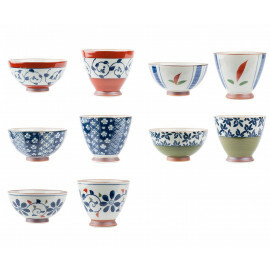 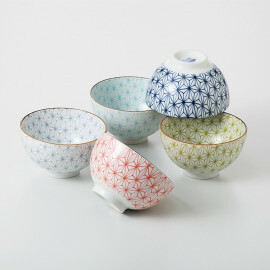 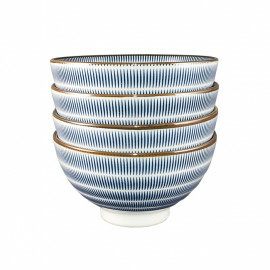 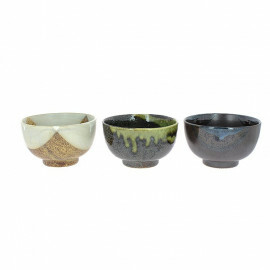 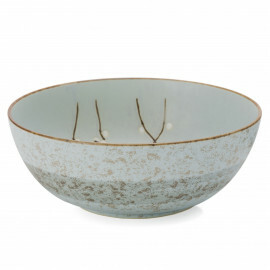 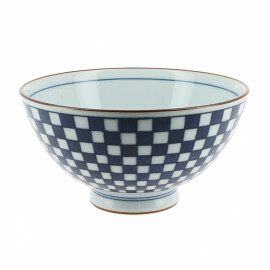 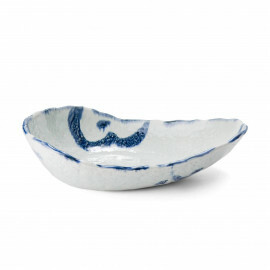 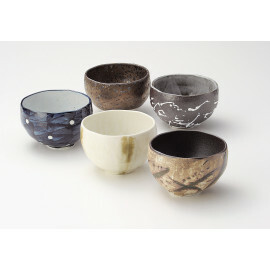 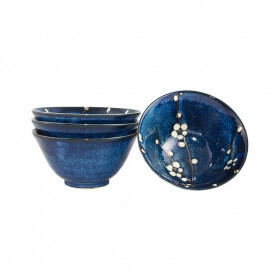 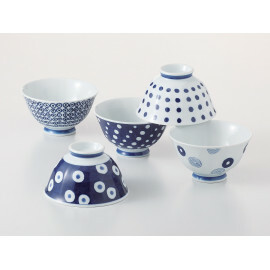 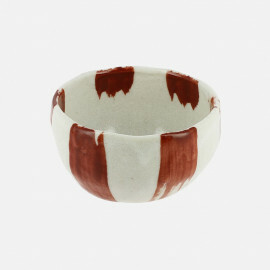 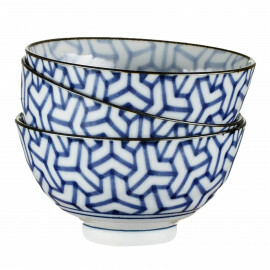 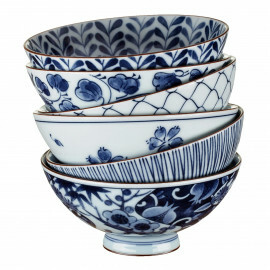 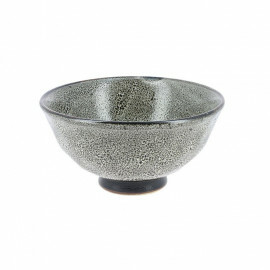 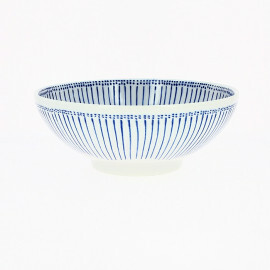 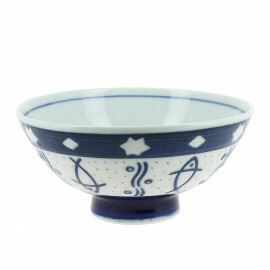 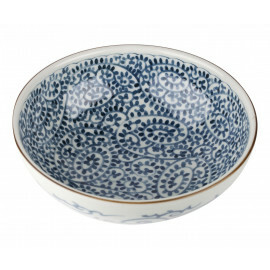 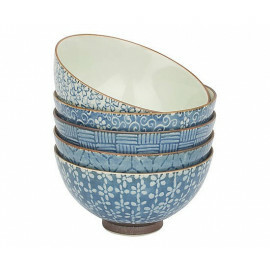 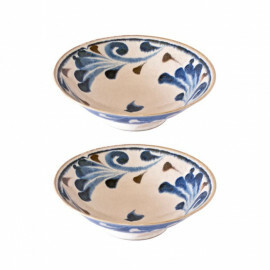 Just like Japanese bowls, a wide range of Japanese bowls is presented on the online store. 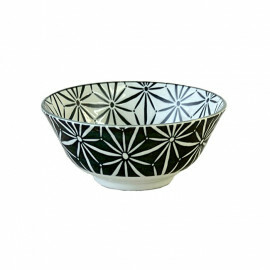 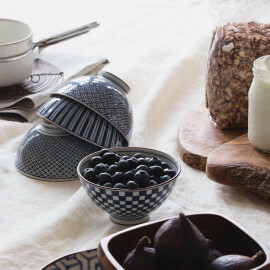 The various items that are offered to you are Japanese bowls and bowls made of quality ceramic, made by Japanese craftsmen. 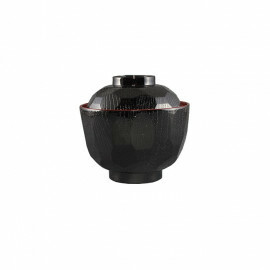 Their know-how guarantees the solidity of the product. 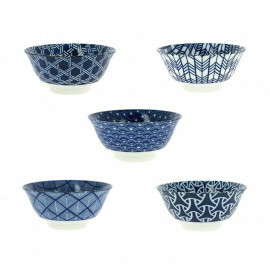 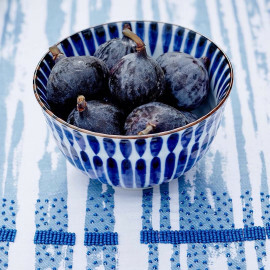 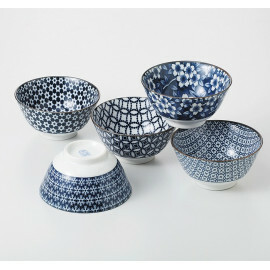 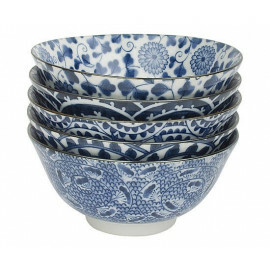 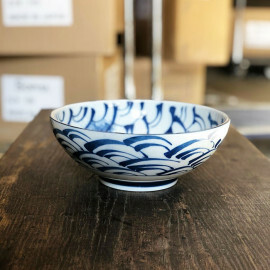 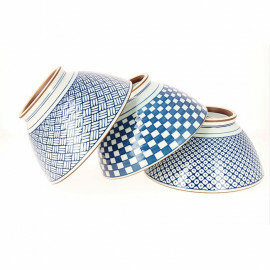 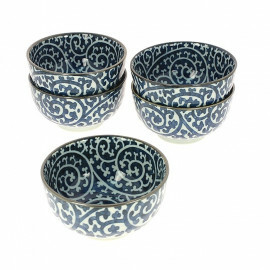 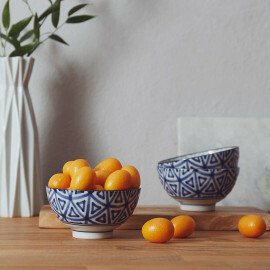 The pretty floral motifs, often blue on a white background, decorating Japanese ceramic bowls and bowls make them very aesthetic. 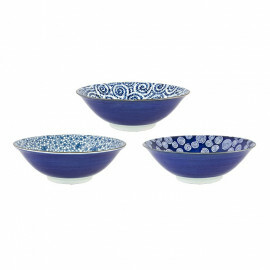 Their resistance to heat, and their ease of maintenance make them reliable and ergonomic. 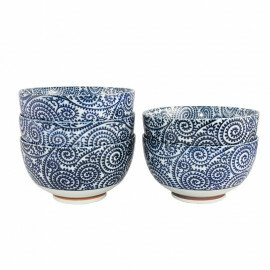 Set of 2 large bowls of "ramen"
Set of 5 bowls "floral"
Set of 4 bowls "cherry"
Set of 5 bowls "hana"
Set of 3 bowls "pollen"
Set of 5 small bowls "sachiko"
Set of 5 bowls medium "sachiko"
Set of 5 bowls medium the "Pottery field"
Set of 5 small bowls "Pottery field"
Stoneware bowl-style "raku" japanese Bowl a little more traditional style of "raku" which is a technique of enameling. 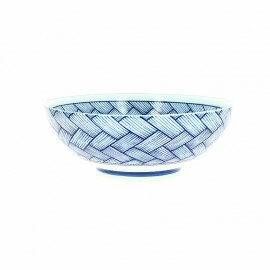 The duration of manufacture of this style of bowl is longer, because there are several steps. 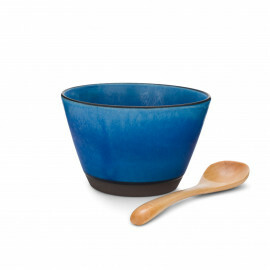 It goes perfectly with furniture or other style of rough wood. 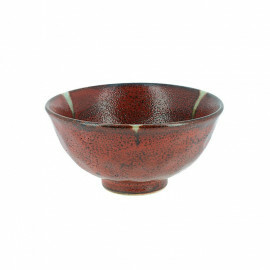 Bowl red sandstone, the style of "raku"
Set of bowl chart "sachiko"